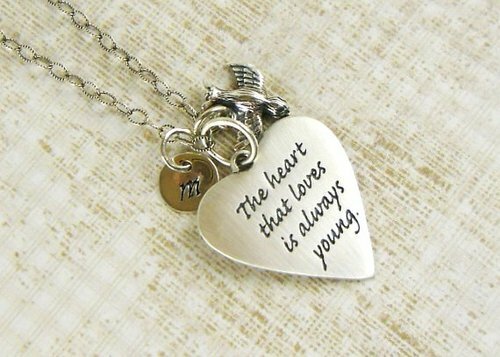 Best Quote Necklaces You Will Want to Put Your Hands On! Do you have a favorite quote? You may have one that pops into your head on a regular basis or that special one that you refer to when answering questions, motivating yourself, or trying to offer support to someone else. Are you the type of person that can quote movies for days? Those can provide the funniest moments at the dinner table or the most sentimental experiences when having deep conversations with friends. Where do quotes come from? Obviously, you can quote anyone and anything that uses words, but there seem to be places that the most popular quotes originate from. These types of places can be school, movies, celebrities and those in High-Rank careers or positions, church, or simply your family members and friends. Quotes can be hilarious, motivational, inspirational, endearing, relatable, heartbreaking, upsetting, and anything in between. Whether you are the person who has that one significant quote embedded in your mind, or the person who has a virtual diary full of quotes in your mind, we’ve got a treat for you. 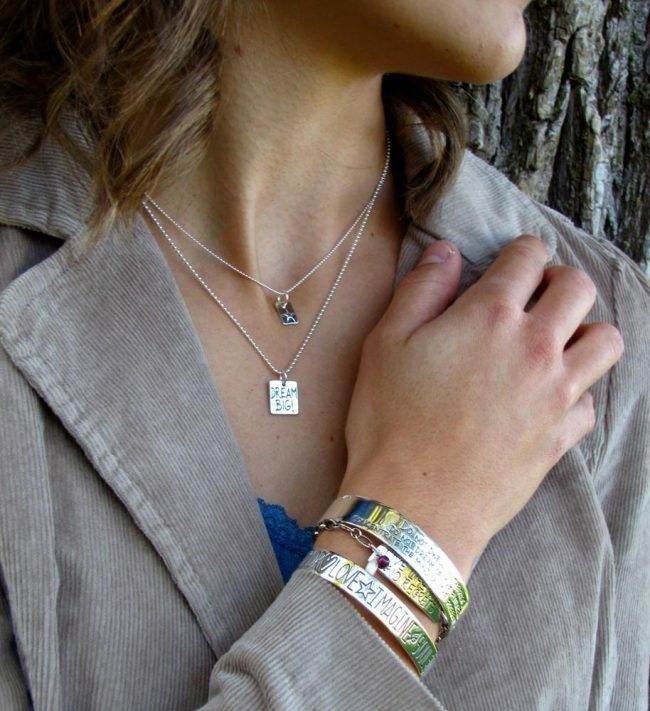 We absolutely love the idea of wearing jewelry that represents a quote that is meaningful to you. 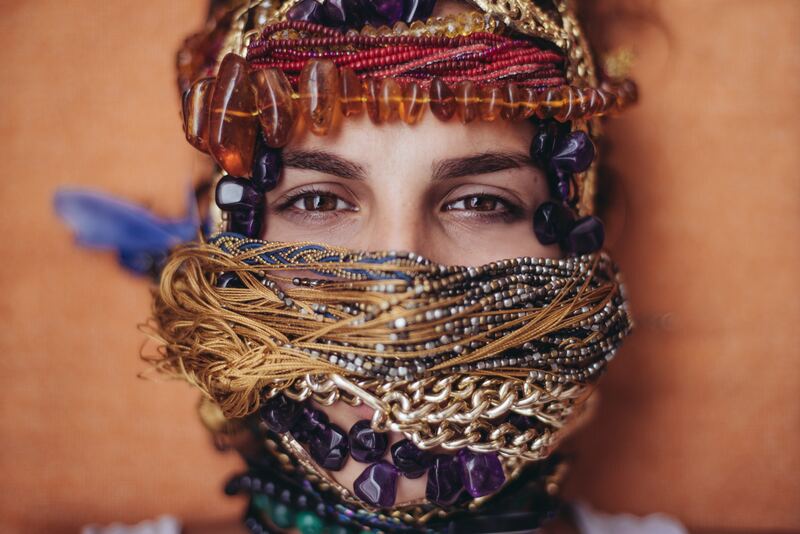 We have found 10 necklaces that range from self-inspiration to loving others. There are so many options out there with quotes engraved on them. Likewise, one trend that we are loving is a bar necklace or other sort of smoothly shaped necklace that allows for customized engravings. If you are looking for something very specific, whether it be for you personally or a gift for a friend or loved one, this is a fantastic option. Quote necklaces are fantastic for gift giving. The options can range from a quote to the love of your life, to your daughter, your child’s teacher, your best friend, your mom, or anyone else that you may be looking to give a present too. Necklaces with quotes on them are such a sentimental way to truly hold a phrase close to your heart, literally. You can quote someone else through a premade necklace or customize it with something of your own or one that is relevant to you or your situation. These 10 quote necklaces we have found are gorgeous and full of meaning. We hope you are as in love with them as we are. Let’s take a look! First, we have this beautiful dog tag style necklace. 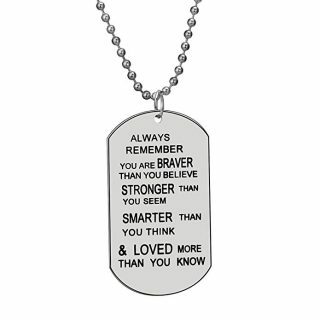 The quote on the necklace reads, “Always remember you are braver than you believe, stronger than you seem, smarter than you think, & loved more than you know.” Cue the tears, am I right? We think this would make for a perfect gift to anyone in your life, any generation and gender. We love that this necklace is gender neutral and would look fantastic on a boy or a girl, young or elderly. We all could use the encouragement and daily reminder that this necklace offers. The overall message of viewing yourself for what you are worth, full of life and potential, with no limitations is just absolutely beautiful and heartening. This necklace comes on a 23.6-inch long chain which can be worn long or layered and on any body type and height. One thing that really draws us to this necklace is that it is great quality with a very inexpensive price attached. 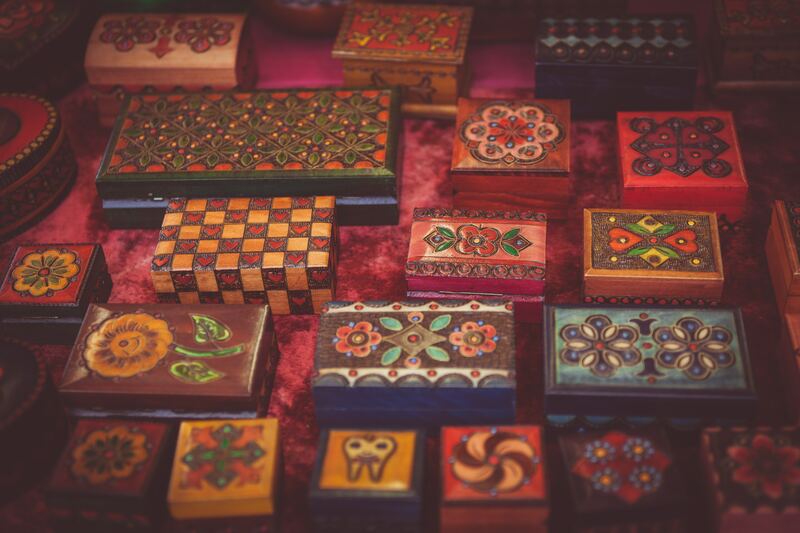 You could easily get these as Christmas gifts, wedding party favor, or anything in between. The necklace is made of zinc alloy metal and is strong and durable. The pendant is just over 1 inch wide and 1.9 inches long. The words are engraved on the necklace in black ink. It is a great product and is one that is sure to motivate and inspire you are the lucky recipient that you choose to give this to. “She believed she could so she did.” Such a short, sweet, simple and empowering message. Do you believe in yourself? Do you have a friend or a relative who might struggle to see how truly powerful they are and the potential they have? It all starts with believing in yourself. 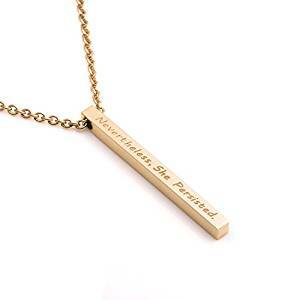 This necklace is the perfect daily reminder to find that willpower within. They say you can accomplish anything you set your mind to, but with that, you have to make sure that your mind is actually thinking those positive thoughts that will lead you to success. So wearing this necklace is a lot like writing down a goal. It puts those words in your mind and the tangibility of the piece makes it real to you physically which can inspire the reality of the message mentally as well. Each pendant is hand stamped with the phrase and sure to make you smile as you clasp it on for the first time, and every time after that. The chain is 18 inches long and is also stainless steel. 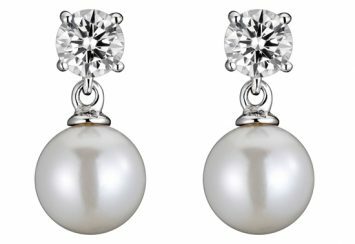 The dainty pearl-like gemstone is the perfect touch to this simple piece. We love this necklace and we’re sure that you will too! This quote necklace would be a fabulous gift for yourself or a loved one. This could be given for any occasion, a birthday, holiday, or get well sentiment. It comes at a fantastic price and people are raving about the quality! It is a very popular necklace and we completely understand why. 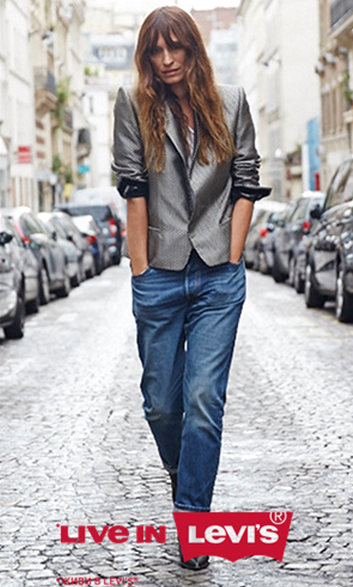 It is simple and chic, would go with any outfit and at any time of day, and it is beautifully unique. 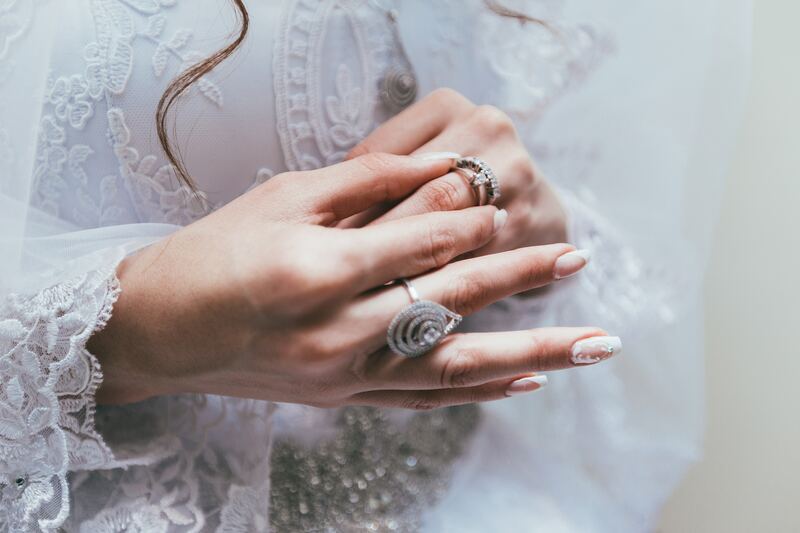 The quote on the circle says, “I love you….” while the moon charm finishes the phrase by saying, “to the moon & back.” Whether these pieces are worn close together to form a larger circle or separated to easily show off the moon, you can’t go wrong. We love the way they have taken a simple circular pendant and taken it one step further to reflect perfectly the quote that it displays. 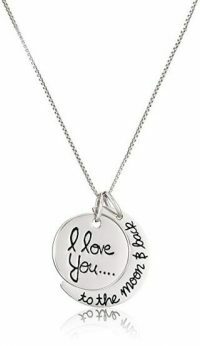 The necklace is made of true sterling silver and the writing is engraved on each of the two pieces. It comes in numerous colors including silver, gold-tone, rose-tone, and two-tone. The two-tone version has a silver colored circle and a gold-toned moon. It is stunning in every single color that it is offered. This would be such a great gift for a wife, girlfriend, sister, or best gal pal. It is fun for any age and would be a fantastic choice for any holiday or a surprise that will be talked about for years. The price is shockingly low for the quality and positive and enthusiastic raves that you will find about this piece. The box chain is 18 inches long and features a spring-ring clasp. This is the type of necklace that you will find at a much higher price in jewelry stores, but here you get a steal of a deal. Wearing this necklace is the perfect way to always keep your loved one close to your heart and staying very fashionable while you do. Next up we have this stunning piece that takes a bar necklace to a whole new dimension. This vertical bar pendant is slimming and flattering. It comes at a low price and is made of 316L stainless steel. It is 18K real gold vacuum plated which will make it last years to come without you having to worry about tarnishing or the color changing. The bar is about 44mm long and 4mm wide and thick as well. It comes on an 18-inch chain with a 2-inch chain extender. 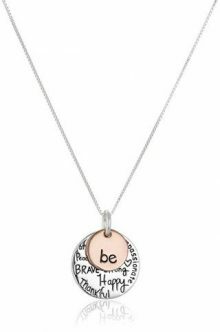 This specific version of the necklace says, “Nevertheless, she persisted.” We love the message and the meaning behind it. It can be so personal and different for each individual person. Whatever you are going through, or have gone through, you are here and you are pushing through the difficult journey of life. So keep persisting and use this beautiful bar necklace as an anchor to thrive each and every day, no matter what cards you are handed. It is also offered in numerous colors and a plethora of inspirational quotes. For each quote you can find it in gold, rose gold, or silver colored. We love the way that these options make this necklace perfect for any woman, regardless of her jewelry color preference. Some of the quotes that you can customize this piece with include, “I am enough”, “Though she be but little, she is fierce”, and “I am with you always”, etc. Each one of these quotes is short and simple, yet overwhelmingly powerful! This necklace is all about girl power! Are you a photographer? Whether you do it professionally, you are still learning, or you are the kind of photographer who only takes pictures of you and your family, this necklace is a great choice for you! Now when we say a photographer who is snapping pictures of you or your family, we are talking to all of you teenagers out there who love to take pictures of you and your friends living young and free, we are talking about you college girls and guys who are thriving (yes, this necklace would look great in your next selfie), and all you moms who chase after toddlers or bribe your older kids with a sucker just so that they will smile for the picture. No matter what phase of life you are in, we are talking to you, all of you. Because in this day and age, we are all photographers to some degree, right? You may have a fancy camera and tons of experience, equipment, and training or you may be taking photos on your phone for your next family album or scrapbook. But most of us have access to a camera and we want so badly to remember each moment and memory along the way. This darling necklace comes with two dainty charms. One of which is an adorable vintage camera, while the other is a small rectangle that says, “keep good memories.” How cute is that? Grab one for yourself, your teenage daughter, or your photographer at your next family session. Or you could do all three of those at the great price that this necklace comes at. The necklace is chain is made of stainless steel and is 16 inches long. The chain includes a 2-inch extender, giving you the option to wear it a little longer at 18 inches. The charm pendants are each made of high-quality pewter. When ordering this piece, we love the card it comes on almost as much as we love the necklace. It reads, “Focus on what is important. Capture the good times. Develop from the negatives. And if things don’t work out, take another shot.” We hope you all read that with a bit of “Oh” and “Ah” after each sentence because we certainly did! Life may seem to drag on at times, or maybe for you, it flies by way too quickly, but through the good and the bad, it is so special to reflect on the shots you have taken and the beautiful moments you have captured as you develop into the person you are. Between the quote and the necklace, you will be thinking deep and feeling sentimental, not to mention how adorable you will look wearing this dainty piece. We absolutely love this product! 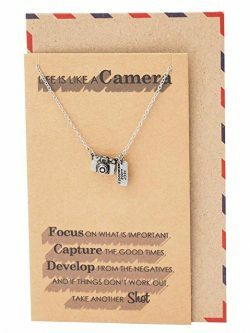 You are a photographer in one form or another, so go out there and capture the moments and do it while wearing this darling reminder necklace. Whatever you are doing aside from looking at these darling necklaces, stop it now and prepare yourself for one of the most unique and special quote piecesyou have seen and will ever see! This Kevin N Anna inspirational animal piece is a complete game changer to quote necklaces and you will be dying to get your hands on it. There is an abundance of options and we will tell you about each of them, but watch out because you may just end up being completely smitten like we are! It comes on an 18-inch sterling silver rhodium chain. It comes with a dainty ⅝ inch pendant, that is double sided and loaded with character. The pendant is made of 950 sterling silver and is excellent quality at a very reasonable price. It comes in a bright teal colored jewelry box and includes a sweet booklet that shows you each of the animals and the quotes that go along with them. 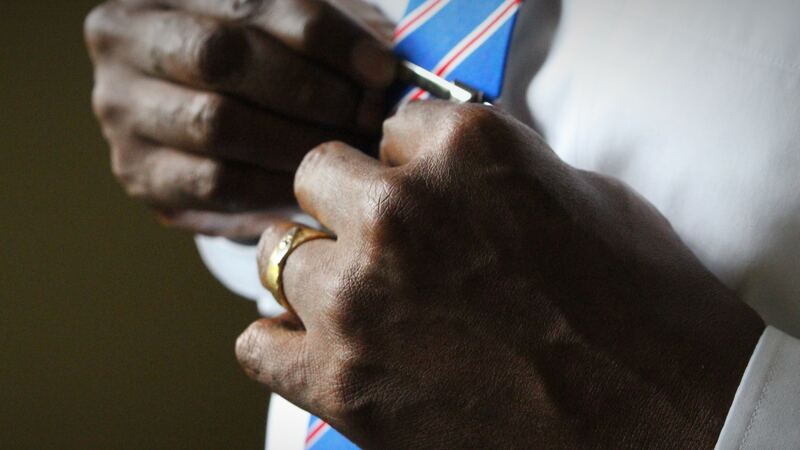 Now, like we said before, this necklace comes in numerous variations, 14 of them to be exact. Each one has a quote engraved on it that is represented by the animal that is stamped on top of the quote. We are just in awe at the depth that this small charm quote necklace holds and especially excited about how unique it is. Though it is hard to pick a favorite out of this selection, we would have to go with the elephant. The quote behind the elephant states, “We all have strength enough to endure the misfortunes of others. Difficulties strengthen the mind, as labour the body. Real strength.” Isn’t that absolutely breathtaking? The elephant represents strength, regardless of what we are going through or what negativity others may be trying to bring into our lives. Think about how the elephant embodies that strength and how you can apply that to your own life. It is fascinating how thought-provoking these necklaces can be. Another option is the bear. 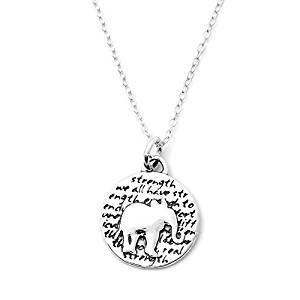 Again the pendant is engraved with the quote and then stamped with the animal that represents the words spoken. This one says, “Enjoy the little things, for one day you may look back and realize they were the big things”. Doesn’t this just immediately bring to light a flashback to your childhood, as a little cub, and how quickly you are here now. Life goes by fast and you may not realize how significant each building block was to lead you to your successes. Those little moments may seem just that, little, at the moment, but one day you may look at them with different light. Next, we have a whale necklace. The quote with the whale states, “The journey of a thousand miles begins with a single step. The beautiful journey of today can only begin when we learn to let go of yesterday.” Aren’t these messages enthralling, to say the least? And this is only a few examples of the fourteen total options. We are seriously obsessed with this product. This is the type of quote necklace that will be cherished for years and years to come. You won’t want to give it away, but if you do get one for a gift, you can be sure that the recipient will be touched and delighted by this gorgeous piece. It is a must-have in our book! 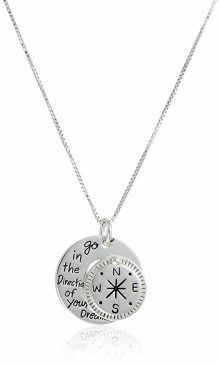 This darling two-tone necklace is such a cute option if you are looking to get your hands on a quote necklace for you or for someone special in your life as a gift. The box chain is 18 inches long and features two small charms. The smaller of the two lays on top and is a beautiful rose gold color. On it, the word “be” is engraved. Next, we have the larger of the two which sits behind the rose gold charm and is a beautiful silver color. Both of these charms are .925 sterling silver and rose-gold flashed sterling silver. They are stunning just to look at, but their message is what really makes them so special. Together they make a beautiful and inspiring piece that promotes the message that in one way or another, the golden rule of sorts, teaches us to love. Wearing it is such a classy reminder to you each day, as well as those that you pass by in your busy life, as you share this message in a simple and pretty way. As we mentioned above, the small charm says, “be”. Such a simple word, but it is a motivator to do, to act and to not be timid, to represent who we are and what we want others to view us as. The back charm reminds us of all the things that we all strive to “be”. It displays messages such as, “kind, free, true, brave, strong, happy, thankful, compassionate.” Imagine what a better world it would be if we all had this daily life motto and truly lived it. Be happy, be thankful, be kind. This piece is priced great, fantastic quality, and an even better message. We love it! This next piece is so cute! It is great quality. It is made of true .925 sterling silver and comes on a beautiful box chain that is 18 inches long. It, like some of the others we have seen, has two dainty charms. One of which says, “Go in the direction of your dreams” with a heart cut out of the charm. The smaller charm that is displayed on the front is an adorable tiny compass. We love the idea of giving, or receiving, this necklace as a graduation gift or something along those lines. The idea of opening a new chapter in your life and doing so with a reminder to follow your dreams is just wonderful. Watch out, this piece might be a bit of a tear jerker for you Moms out there! If you are looking for a necklace for your own mother for Mother’s Day or a birthday, this is such a great option. It is 18 inches long and is made up of true sterling silver which is great quality and sure to last years and years! The pendant features a beautiful heart inside of a larger, though still quite dainty, circle. 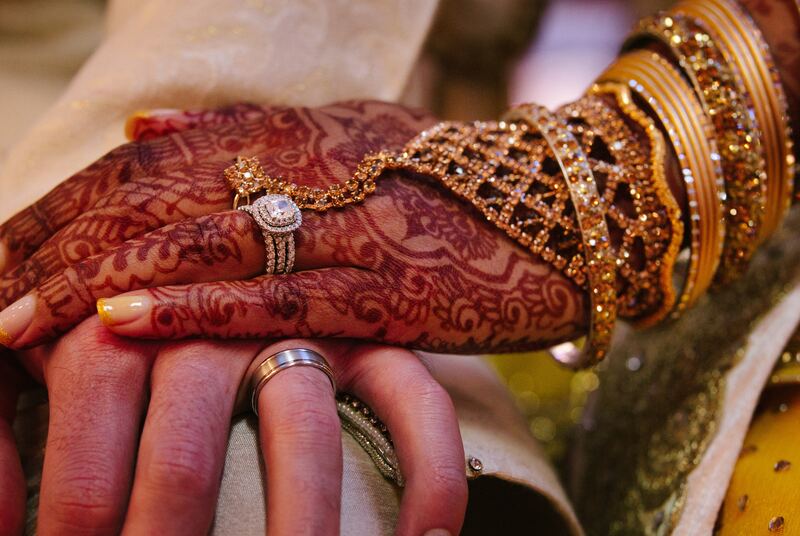 One thing that we are smitten by with this piece is the detail in its creation. You may notice that the heart is connected to the circle. It is a never-ending loop that carries through the circle, featuring the quote, and then into the heart in the center. We love that small detail and how well it represents the words in the quote. So what makes this such a special gift or sentimental piece for mothers? Aside from its beauty, the quote from Charlotte Grey will have your mom in tears with a very full and happy heart. 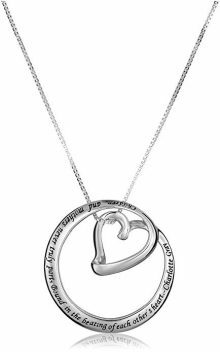 It reads, “Children and mothers never truly part – bound in the breathing of each other’s heart.” How heartwarming is that message with the circular heart symbol combination? 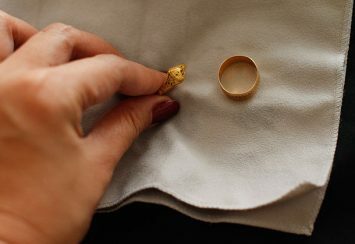 It also comes in two color options, gold or silver, and is packaged in a beautiful jewelry box. We are obsessed! Last, but not least, we have this darling 3 charm quote necklace. The chain is 16 inches long and includes a 3-inch chain extender. The charms are three different colors, copper, silver, and brass. Because of this beautiful detail, we feel like each of the charms and their messages really stand out and catch your eye. 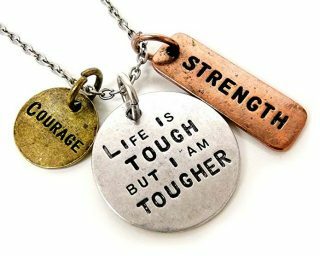 One of the smaller charms says “Courage” the other says “Strength”, while the larger silver circle in the middle says, “Life is tough, but I am tougher”. We love this message of being confident in yourself and striving to battle against whatever punches life may throw your way! There are also variations to the quotes and the display of the piece that make it easy for you to choose what fits your life and style the best. Another option we love is the combination that includes “love” and “faith” on the smaller charms. 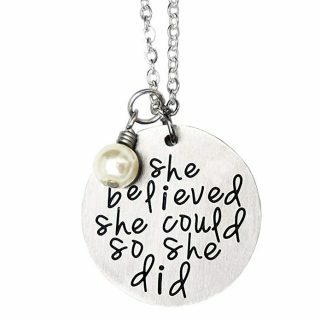 The larger silver charm on this variation says, “Nothing is impossible if you believe”. Just like with the other option, we love that this one is so inspirational! Believe in yourself and what you are trying to accomplish and with love and faith, you will be able to reach the goals you have set for yourself. The necklace is great quality and comes at a fair price. 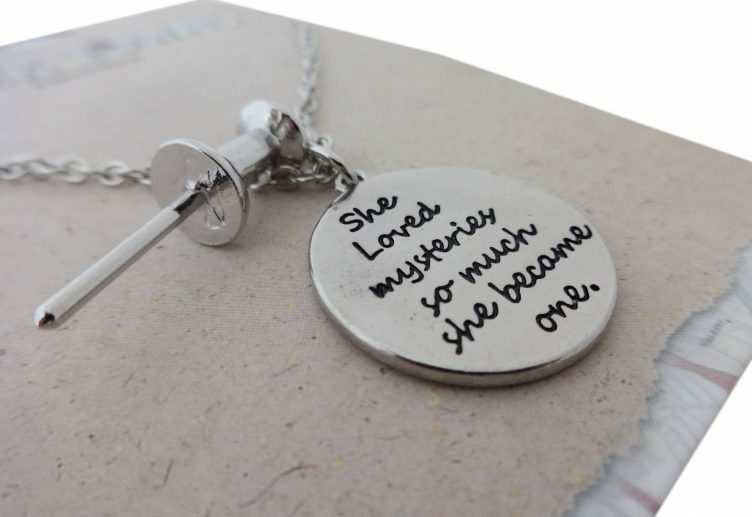 We hope you love these 10 quote necklaces and want to put your hands on at least one of them! We know we do! Whether you consider yourself a quote loving person or not, you may fall in love with these inspiring necklaces and find that you want one for yourself. Quotes truly are such a beautiful way to encompass the beauty of life. There is always a phrase out there that can uplift and inspire each of us in some way. So write it in your journal, post it on a sticky note on your mirror, set it as the background on your phone. Do whatever you’ve got to do to remind yourself that you are awesome and life is good. And then get yourself, and your loved ones, a special necklace that you can add to your collection. Wear this necklace close to your heart and let it serve as an anchor, a reminder, and an inspiration to you as you go about your day! Quote necklaces are super trendy right now and we are obsessed with so many of the options out there.